An argument that voter anger and authoritarian political attitudes can be traced to the displacement of anger, fear, and helplessness. Politicians routinely amplify and misdirect voters' anger and resentment to win their support. Opportunistic candidates encourage supporters to direct their anger toward Mexicans, Muslims, women, protestors, and others, rather than the true socioeconomic causes of their discontent. This book offers a compelling and novel explanation for political anger and the roots of authoritarian political attitudes. 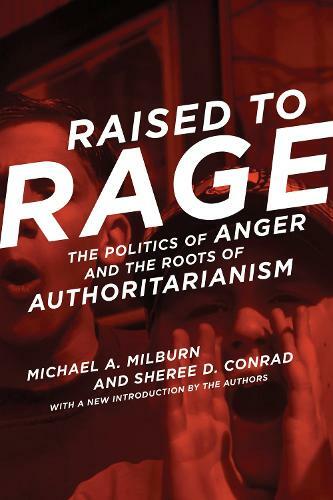 In Raised to Rage, Michael Milburn and Sheree Conrad connect vociferous opposition to immigrants, welfare, and abortion to the displacement of anger, fear, and helplessness. These emotions may be triggered by real economic and social instability, but Milburn and Conrad's research shows that the original source is in childhood brutalization or some other emotional trauma. Their research also shows that frequent experiences of physical punishment in childhood increase support in adulthood for punitive public policies, distorting the political process. Originally published in 1996, reprinted now with a new introduction by the authors that updates the empirical evidence and connects it to the current political situation, this book offers a timely consideration of a paradox in American politics: why voters are convinced by campaign rhetoric, exaggeration, and scapegoating to vote against their own interests.